Seniors who have dementia often go through unique experiences where each case of dementia is different, even though a majority of the patients go through the same 7 dementia stages from the onset of the illness to the very end. Dementia, a disease that comes about because of physical changes in the brain, is a general term for memory loss as well as loss of other mental abilities that can interfere with a person’s everyday life. It is a progressive condition, which means that it gets worse as time passes by. Progression typically depends on the cause of the illness where some may experience it rapidly while others have plenty of time before it reaches its advanced stages. Sadly, today’s medical experts confirm that dementia is irreversible and not curable. There are a few cases, however, depending on the situation where it can be treated specially when caught in its early stages. Worth noting is that some drug treatments are available to improve symptoms temporarily. Early diagnosis can be beneficial because it helps the affected individual to manage the condition better. There are different stages that a person who has dementia goes through as the illness advances. It is not easy to tell whether a person has dementia during its initial stage. There are usually no signs and symptoms to show that the disease is present. Professionals refer to this as a normal functioning stage. A medical expert can confirm the lack of symptoms by testing language, problem solving, and memory. People who do not have dementia but are at risk of getting the condition can also be classified into this category. 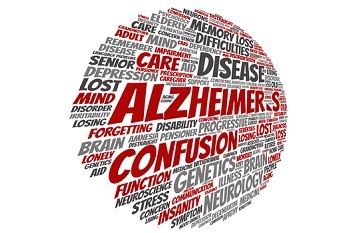 Since a person cannot spot any symptoms at this point, it is recommended that one undergo a PET scan, which will reveal how the brain is functioning to know if one has Alzheimer’s. The symptoms become more apparent during the later stages of the illness. Older adults at the second stage of dementia may begin to notice that they are experiencing some minor memory issues. It is common for people at this stage to forget where they put things in the house. Memory lapses can also be seen when a person forgets the names that were at one time familiar. The memory loss patients experience during the second stage of dementia cannot be clearly distinguished from the ordinary age-related memory loss. It is to say that an individual may still do well when they go through memory tests. It is also possible that physicians and loved ones may not be in a position to detect the disease at this stage. Studies reveal that almost half of the 65 and older generation report minor forgetfulness. It is also important to understand that the subtle changes could have nothing to do with dementia, but they might just be regular changes that come about as a person becomes older. However, if a person has dementia, it may be severe enough to interfere with a person’s ability to live independently or complete their daily chores. Life may go on normally at this point apart from occasional cases of slight memory loss. It is possible that affected adults can begin to experience mild or moderate anxiety during the third stage of dementia, primarily because of the symptoms getting in the way of their everyday life. Should one notice any of the symptoms, it is imperative that the affected individuals go through a clinical interview with a licensed clinician to receive the proper diagnosis. It helps to start an appropriate medical course of action. Caregivers should also note that it is essential that they try and get rid of any stress that may be affecting the patient. Let them understand what is going on in a kind and loving manner so that they can prepare to embrace the journey ahead. They can also help the patients with memory in some ways such as reminding them to pay their bills and getting them to any appointments they may have on time. At this dementia stage, it may also help to suggest that an individual retires if they are still working and that they should critically think about putting their financial and legal affairs in order. It helps them to avoid problems in the future. The average duration of the third dementia stage is usually about seven years before the onset of dementia, though for some patients it may be longer or shorter. To help efficiently deal with this dementia stage, loved ones can help out with daily tasks and make sure that the patient is safe at all times. Be on the lookout to make sure that they do not fall victim to unscrupulous individuals who may want to take advantage of the patient financially. For many patients, the fourth dementia stage usually lasts about two years. Many patients at this time also tend to withdraw from the society mainly because they feel like what they are going through is embarrassing them. They could also face adverse changes in their moods and personality. Many patients also deny that they have any symptoms as a defense mechanism, even though the symptoms may be quite evident. A high percentage of adults in the fourth dementia stage tend to avoid any situations that are challenging in a bid to prevent anxiety, increased stress or hide symptoms. At this point, caregivers should work closely with a medical professional to know how to care for the affected individual properly. At this stage, it may be a good idea to look for a home health aide agency near you that can provide a caregiver who is specifically trained to handle dementia. If symptoms cannot be managed at home during this dementia stage, it may be a good idea at this point to start to look into dementia and Alzheimer’s care near you and find an appropriate facility that can properly manage the condition. Some patients may, however, still maintain some level of functionality and may still be able to live at home with the help of their loved ones or hired caregivers. It is where they remain in a position to do some tasks independently which may include eating, taking a bath and properly using the toilet. Others may still know information about the people they love such as close family members and personal history especially their youth or childhood. Many still know their names and those of people close to them like children and spouses. The entire stage may last for one and a half years, although this varies depending on the individual. It is vital that caregivers and relatives try and help out in a way that the person with dementia still feels like they have a sense of independence. Help out by laying clothes in the morning and being there for the patient in any possible way. If one asks the same question over and over, do not act like it is frustrating or they are a bother but answer at all times with a friendly and reassuring tone. Despite the fact that the retiree may not remember all the details, they can still tell a story. Do not ridicule them, but encourage them to use their imaginations during those difficult times. Some will experience hallucinations or paranoia and have a hard time falling asleep. Remember that dementia patients need to be in a safe and secure environment during the sixth dementia stage because this is where they tend to get lost. They cannot remain at home on their own during this stage and must have constant supervision. It may be a good idea for them to always wear a trackable bracelet just in case they do wander off and get lost. One may remain in this dementia stage for about two and a half years. While it may be hard to communicate during this stage of dementia, it does not mean that loved ones should abandon their patients completely. Individuals and patients can still connect through senses. A majority of people with dementia love hearing another person read to them, listening to music, and going through old photos. It is the last stage for anyone who has dementia. You should know that dementia is terminal, which means that at this stage, they may not have much time left to live. It is a sad time for patients as they lose their motor skills, ability to communicate and ability respond to the environment. Professionals state that at this point the brain loses its connection with the rest of the body. Some people in the final stage of dementia may still be in a position to say some phrases and words, but they do not know they have the disease and demand assistance with all their daily living activities. Some patients cannot even swallow food or drink during this final stage. Support patients by feeding with easy to eat and soft food. Remember to keep the person with dementia hydrated because many of them at this stage cannot tell when they are thirsty. Visit as often as possible and let the patient know that they have all the support and love they require. On average, the duration it takes to pass through this stage is about two and a half years. It is essential to identify the earliest dementia stages because it makes it possible to seek medical assistance quickly. It is something that can delay the onset of the final stages of the disease. It is unfortunate that there is currently no cure for dementia, but we hope that someday, that cure will be found. Please keep in mind that the seven stages of dementia are not in neat, precise boxes. Some patients may experience the symptoms as stated while others may differ slightly or even significantly. It is always a great idea to work with medical professionals regardless of the stage that a loved one is in. They are in a better position to give guidance on the care that a person requires so that they maintain the maximum level of comfort throughout all of the stages of dementia. Never abandon a loved one who is suffering from dementia because they need all the care and love they can receive to cope with the condition.